Waged across airwaves and newspapers for the past decade, the history wars have spread fear and loathing through the besieged halls of academia. The veracity of university-based historians and their versions of our past have been under assault as never before. In 2002, The Fabrication of Aboriginal History by Keith Windschuttle fired a broadside whose aftershocks are still reverberating. In Robert Manne’s anthology Whitewash (2003), a score of the authors under siege mounted a counterattack. Their example was soon followed by the collections edited by Dirk Moses, Genocide and Settler Society (2004), and Stuart Macintyre, The Historian’s Conscience (2004), by Bain Attwood in Telling the Truth About Aboriginal History (2005), by Tony Taylor’s Denial (2008) and by James Boyce’s Van Diemen’s Land (2008). In this revised and updated edition of Washout, John Dawson analyses all these works in a piercing inspection of the methods, standards and philosophic premises within Australia’s humanities faculties. He finds they have adopted irrationalism as their standard and abandoned their scholarly obligation to defend the truth. 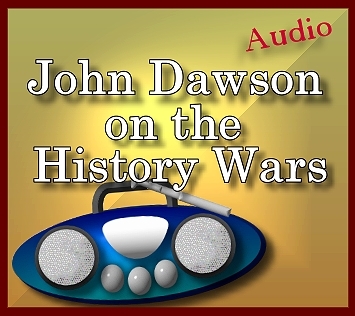 John Dawson is a Melbourne writer whose articles have appeared in newspapers and journals including Quadrant in Australia and The Intellectual Activist and Capitalism magazines in the United States. He is the author of the first edition of Washout, published in 2004.